Mothers day sticker. Surprise you mum this mothers day with this cute wall sticker. 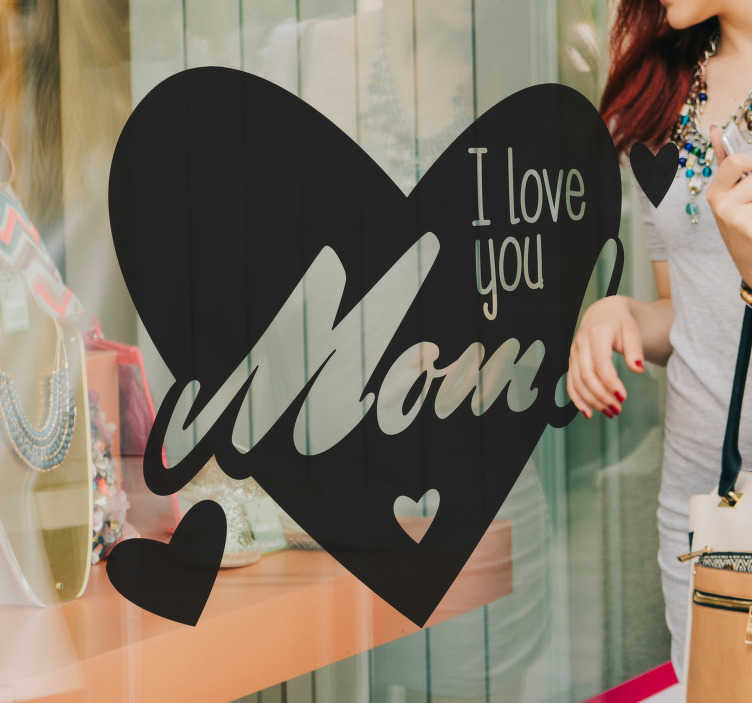 The wall sticker consists of a giant love heart, with the text "I love you mom!" If you're struggling for ideas on what to get for mothers day, this removable sticker would be a great surprise. This sticker is available in a wide variety of colours and sizes. The sticker is easy to apply to any flat surface and leaves no mess.